This is an incredible show. Borderless Arts is proud to be a part of this. The program at MTSU is free and open to the public. This is truly something you want to see if you can at all make it. 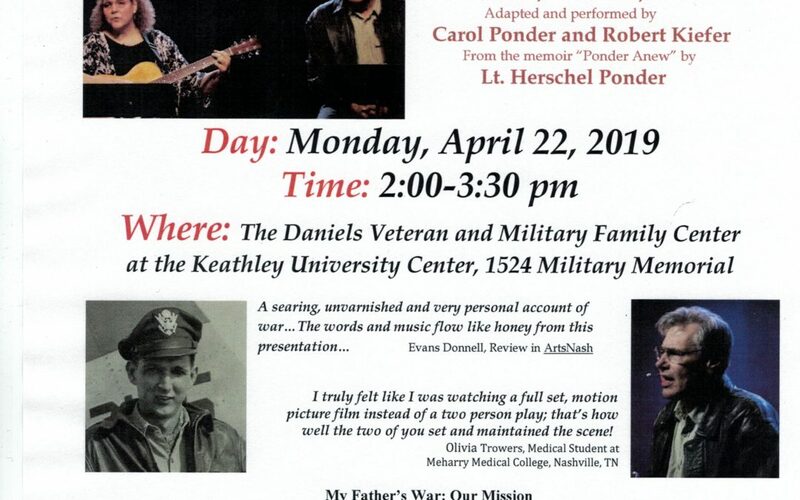 The program is a combination of theater, music, oral storytelling and it is all done around a true story based on Carol’s father’s WWII Memoirs. Funding for the program is provided through a grant from the Tennessee Arts Commission.